We love working with clients to implement Adaptive Insights, because we’ve seen how it enables the finance team to focus on what truly matters and become much more of a strategic resource to the rest of the organization. Before Adaptive, many organizations spend way too much time on financial operations (i.e. data management, transaction entry, spreadsheet-based reporting / analysis). As a result, they’ve got very little time to analyze financial performance and make timely decisions. 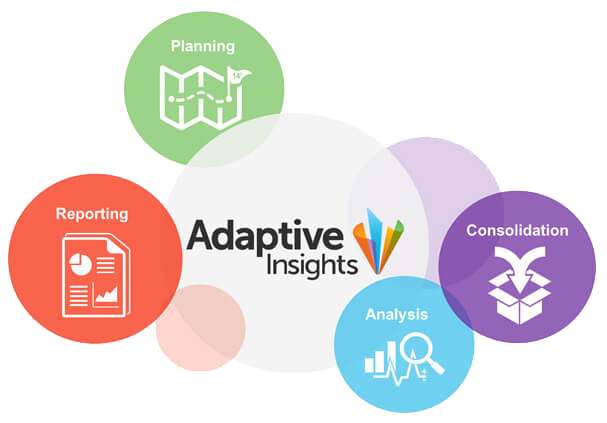 Adaptive Insights provides the opportunity to significantly improve your day-to-day processes, giving you the freedom and flexibility to spend less time on the trivial and provide strategic vision and insight for key stakeholders. With our extensive experience on your side, RKL will optimize and design a solution specifically for your needs, no matter your industry. We will create a solution that’s the right size for your specific requirements utilizing individual modules, or the entire Adaptive Insights Suite. More than 3,000 companies have transformed their business intelligence and corporate performance management with Adaptive Insights. RKL has helped companies shorten time to value because our experience means we have answers to questions you didn’t know you had. And we can help you increase internal adoption and provide online or on-site training. At RKL, we understand your challenge balancing accounting operations and financial planning. 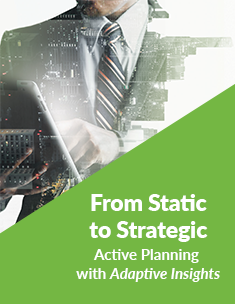 With RKL as your guide along with Adaptive Insights, you can become a strategic financial partner. To start tipping the scales in favor of Financial Performance, not just Financial Operations, contact us today.